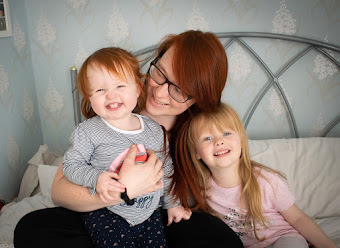 When you have a little one, you launch straight into mummy mode, I wanted to be a mummy for so long, but I didn't anticipate just how little me time I get. Don't get me wrong I am not complaining, but I feel like I have kind of lost who Steph is. My style seems to have vanished, I literally live in jeans and tops, with a mum bun. I've lost so much confidence in my body since having Emily, my body shape has changed, and gone are the days where I would just pick anything and wear it. I umm and err over clothes now, and wonder what they will look like on. I get self conscious, which then leads to me sticking to the same jeans and top. So when I got offered the opportunity to join in with the Dress it up campaign with George at Asda I jumped at the chance. Time to stop hiding in my jeans and tops, and hiding behind Emily in photographs. I should really be embracing my body, rather than hiding it away, however that is always easier said than done. I don't want Emily to grow up and have no confidence. I want her to strive in life, and be comfortable in her own skin. How is she ever going to learn that when her own mummy hides away. So it is time for change. 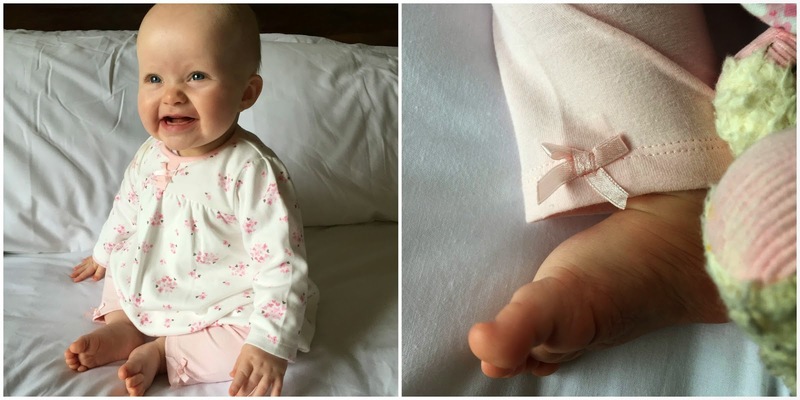 They kindly sent Emily a little outfit too which was lovely of them! It was nice to have a little mother daughter dress up session. I can't wait until she is old enough to go shopping with me, and help me pick out clothing. This is the dress I picked, It has a peter pan collar which I adore, I think it makes a plain dress look lovely. The detail is gorgeous, and it's crochet too. The material is very good quality, and washes really well. I'm not really a fan of dresses, just because I am quite big busted, which means it is pretty hard to find a dress that fits nicely. I have to order a bigger size than my waist to get it to fit over my bust. Which then leaves me feeling a little frumpy, however I didn't feel like that at all with this dress. I felt comfortable and at ease, so I will definitely be looking at more of the dresses in George's range. The other great thing about this dress is it has cropped sleeves. Being a mummy I am forever pulling my sleeves up so that I don't get them messy, especially when feeding Emily. So it was a nice change not to have to pull them up. I paired the dress with a pair of simple black leggings, which are also from George. I'm not too much of a fan of leggings, there is nothing worse than wearing a pair of leggings that go see through. These on the other hand are not like that at all, They are pretty thick, and so comfortable. I have since ordered a couple more pairs. To add a pop of color I styled it with this gorgeous knitted blazer, it is actually pretty thick, so you have no worrys about getting cold. It also has lovely cropped sleeves, and it will be perfect for summer evening. It makes a simple outfit change into something fashionable. I have also paired this blazer with some everyday skinny jeans, and a vest top, and it looked lovely. Lastly to complete the look I opted for some boots. I didn't actually own any boots up until now. I have no idea why, but they just haven't been part of my outfits and boy I have been missing out! They are so comfortable, we have been visiting bluestone national park, in Wales. It's a lot of walking, hills and nature trails, and these boots have been amazing. The sole of the boot is quite thick, which is really good and unusual considering the price. I cannot recommend these enough, I was expecting to have blisters from all the walking, but I had absolutely none! Putting aside how comfortable they are, they look lovely. They are a simple ankle boot, that you can just pull on, but I am in love with them! You can view George's women's dress range by clicking here. Let me know if you find a dress you fall in love with. They have some really stunning dresses, and I have a few on my wish list. 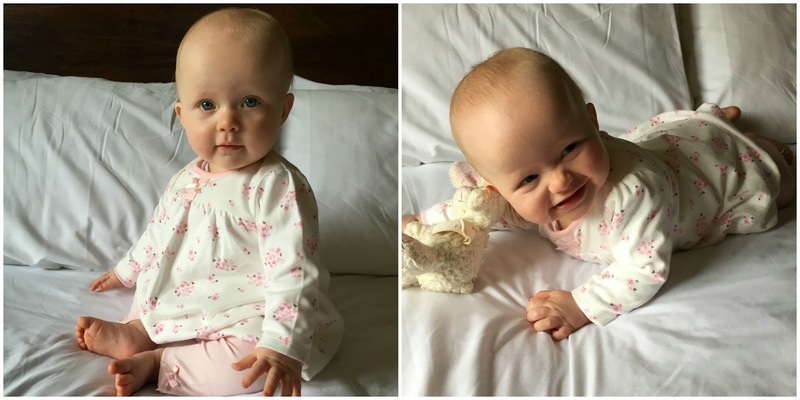 This is the outfit that I picked for Emily, I love pale pastel colours on babies, I don't know why but I just do, and anything floral is a absolute winner in my book. 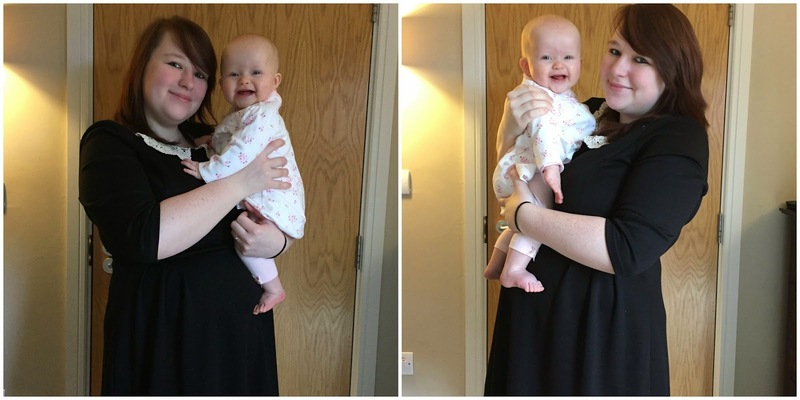 We have purchased many items of clothing for Emily from George before, if you are a regular reader you will know the brand regularly appears on Emily's Weekend baby style posts. I have and will always be a fan of George clothing for a couple of reasons,the quality of the material they use is amazing, the clothing washes really well, and it doesn't shrink or look worn. The clothing is also always good value for money, some baby clothing can be very overpriced, but George are very reasonable. I also love the fact you can pick up the odd thing while doing your weekly shopping. The attention to detail is amazing, just look at those little bows on the bottom of the leggings, so simple but very cute and effective. This is by far one of my favourite outfits on Emily. I also love the simplicity of the website, it is easy to navigate your way around the site, and I love how they're is various different sections depending on what you are looking for. The other great thing about the site is when you are purchasing a item, there is a lovely side bar which tells you how you can complete the look. Sometimes it can be footwear or other items of clothing, even jewelry. I think that is a nice touch, because sometimes I am sat wondering what will go with the product I am purchasing. Where are your favourite places to shop? Have you ever brought anything from Asda? She's so bloody cute, she looks adorable! You also look fab in that dress honey.